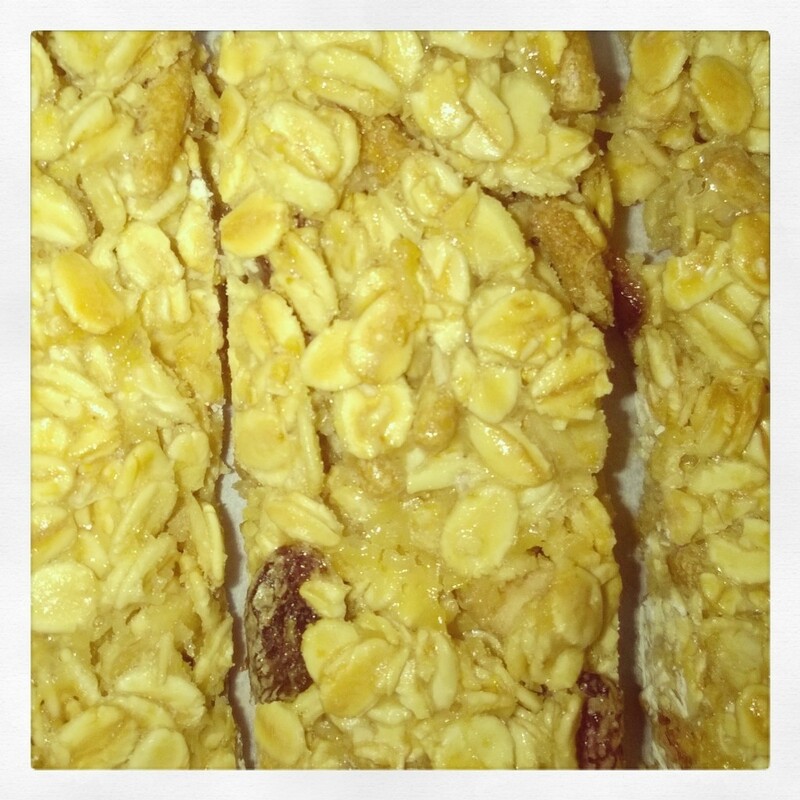 Easy 2 Ingredient Muesli Bars. These super easy, fast and yummy muesli bars are a favourite in our house! The kids just love them which I am very grateful for, as they are so easy, cheap and fast to make with hidden goodness! Freezable: They freeze well, so they are fantastic to make in advance for the children’s lunch boxes. Economical: So much cheaper than a box of 16 muesli bars. Only 2 ingredients: Muesli and condensed milk!! More transparency of ingredients than store bought muesli bars that may have unknown nasties in them! Easy: So easy to make that the kids can help too! Fast: Just mix then pop in to the oven! Super fast for time poor or busy people! Delicious: Tastes yummy but also has lots of hidden goodness with the oats, seeds, nuts and fruit. 3 cups of muesli ( or a combined total of 3 cups of whatever muesli ingredients you wish, such as rolled oats, dried cranberries, dried pineapple, sultanas, dried apricots, pepitas, almonds and coconut – or chocolate chips for a treat if you wish, all roughly chopped and combined well (or for Thermomix users: all dry ingredients combined on Speed 4 for 5 seconds). Preheat oven to 180°C (160°C fan-forced). Line a 20 x 30cm slice tin with baking paper. 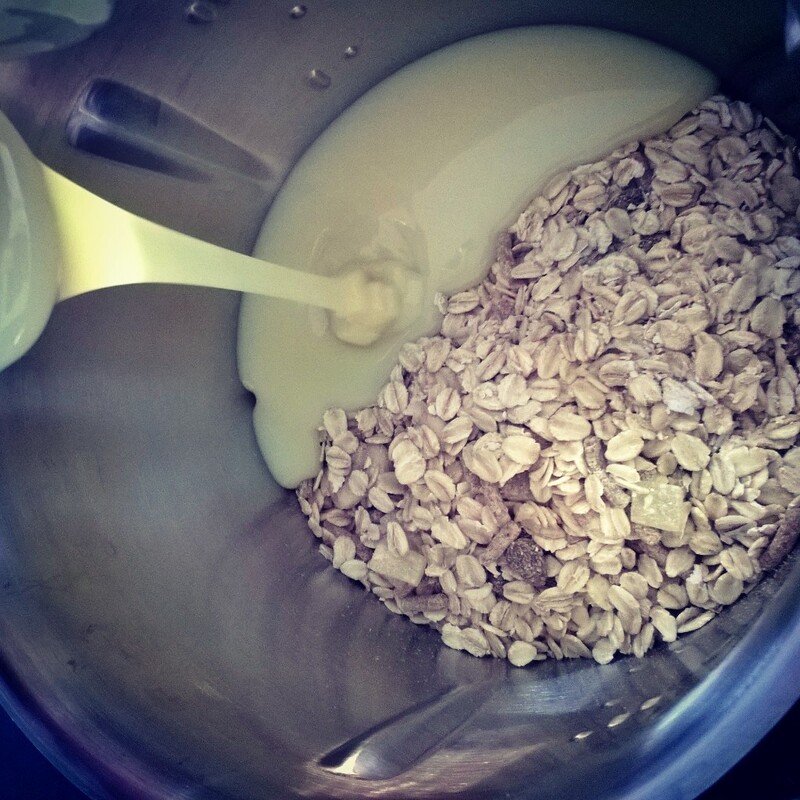 Combine muesli and condensed milk well in a bowl (or for Thermomix users: Combine muesli and condensed milk in the jug, on speed 3 for 10 seconds). Press mixture into the prepared tin and bake for 25 minutes or until the top turns golden and feels firm. Remove from the oven and let them sit for about 10 minutes to cool a little, and then cut into bars to allow to cool completely. (The last batch I made was using a lovely apple, coconut and cinnamon muesli that I bought and they were super yummy! These were also great for me to eat on the run, rather than skip lunch on those crazy days!). I so hope you love them too!!! This entry was posted in Recipes and Meal Planning and tagged 2 ingredient muesli bars, almonds, cinnamon, coconut, condensed milk, dried apricots, dried cranberries, dried pineapple, muesli, muesli bars thermomix, nuts, pepitas, recipes, seeds, sultanas, thermomix recipes. Bookmark the permalink. ← Coconut, Chia Pudding with Raspberry Coulis.